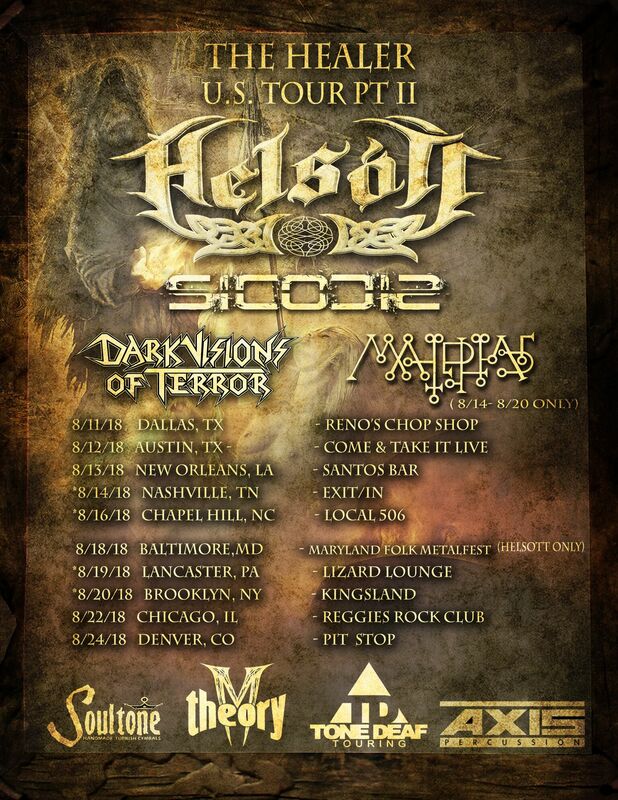 The California-based pagan metal quartet HELSOTT has announced a series of summer tour dates around their previously announced headlining appearance at the fourth-annual Maryland Folk Metal Festival, which takes place at Baltimore’s Ottobar on August 18. The group will be joined on the tour by M-Theory Audio labelmates Sicocis, whose guitarist, Rafael Ortega, also plays in HELSOTT (along with returning guitarist Mark Dow) performing double-duty each night. A complete list of the group’s upcoming shows – which will also include Malphas and Dark Visions of Terror – appears below. The summer dates will mark HELSOTT‘s first tour with new bassist Doc “The Healer” Beaulieu, a longtime fan of the band (and a real-life doctor) who helped to make the group’s 2017 EP The Healer a reality. As part of an Indiegogo campaign, the group offered a unique perk – a song written about the donor. Beaulieu took the band up on their offer and they subsequently became friends, and since then, he’s joined them on tour as a crew member. Now, he’ll be on the front lines. 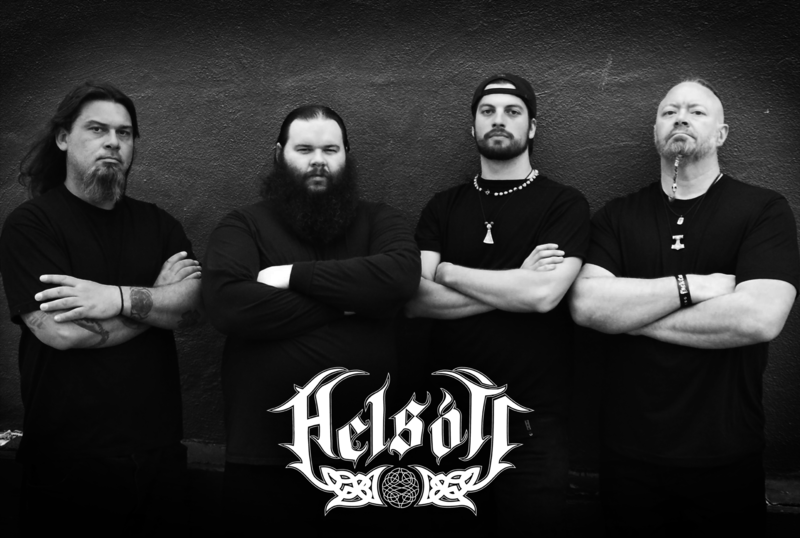 HELSOTT recently finished recording their second full-length album, which will be released this fall. It will serve as the follow-up to The Healer, which the group supported with a European tour alongside I Am Morbid and Necrophagia, as well as numerous regional performances alongside the likes of Dark Tranquillity, SepticFlesh and Evergrey. Since forming eight years ago, HELSOTT – whose name means “fatal illness” in Old Norse – has paid homage to pagan cultures and mythologies while keeping true to their American influences. The group’s unique mix of folk metal, death metal, symphonic metal, thrash, classical and rock first caught the attention of audiences on a large scale during the 2013 Paganfest North American tour, where they performed with Ensiferum, Tyr and Trollfest. The group built further momentum the following year via their debut full-length, Woven, behind which they toured alongside Arkona and Heidevolk.